My family and I had sustained flooding damage to our home in Brooklyn, and when the home became uninhabitable, with both of my parents in and out of a number of hospitals in Brooklyn–and having had our locks broken with someone entering our home, we spent almost a year in hotels on Long Island (utilizing all of our accessible funding like life savings and IRAs for which, at least for my accounts, I was greatly penalized for not having been of age) to look for a place to live until we would ultimately move to what we like to call our forever home, which would be out on the West Coast. We already had an agent out there for a few years before we were hit by this devastating series of events. To make things worse, I could not leave my parents alone at such a crucial time, so essentially we had to leave Brooklyn behind—until our lives regained some semblance of what they had been—to begin again on Long Island. However, looking back at that decision in hindsight, that may have been the worst thing we possibly could have done…. 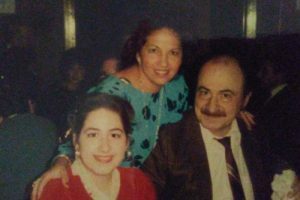 My father had taken a fall at the hotel–more than once, and as my mother had some health issues while there, we spent most of our time in either various hospitals and/or rehabs, continuing to exist in “survival mode” each and every day. It seemed that no matter what we tried to do to make the situation better it would always backfire, and instead of others giving us a helping hand, we always were faced with an accusatory finger. During one of my father’s hospital stays, he had a private room and requested that my mother and I stay overnight. After being met with nothing but approval–and recliners, one social worker decided that we were “homeless” and called Adult Protective Services to check up on my mother monthly, until about a few months ago when our case was closed. This was an invasion of privacy–and made us feel as if we were being stalked on a regular basis. Eventually, we found an apartment in Holbrook, NY, which, for a brief moment filled us with hope, until my father had overturned his high-back wheelchair and was taken to the closest hospital. That one day became the first day of the worst year-and-a-half of our lives—and continues to the present…. After my father was cleared of any brain injury at the time, he was not able to stand, nor walk, and therefore was unable to be released from the hospital. Might I also mention that until this time, even after sustaining a subarachnoid hemorrhage, my father was of sound mind. However, the hospital administrators had a different agenda. They tried to force my father to apply for Medicaid against his wishes since he is a Veteran of the Korean Conflict and wanted to apply for a $0 down payment loan to purchase our new house, while we would proceed to sell our former home. However, it took nine months to procure a copy of my father’s DD-214 since it had been one of those lost in the fire at the Archival Office in St. Louis, and only after we had written to the President of the United States was a copy finally sent our way. In the midst of all this, it turned out that that hospital had underhandedly petitioned for guardianship of my father, claiming he was “incapacitated,” when that was certainly not the case, with his speaking three languages and enjoying conversations with some of the staff members there. The so-called impartial Court Evaluator, was in no way, impartial. She was against our family from the beginning—and it was obvious that she had an ulterior motive. Of course, her only intention was to get a portion of my family’s assets against the will of all of us, as had the social worker, the opposing attorney and the temporary “medical” guardian, most likely all in league with the Judge, who would not consider anything other than what the Court Evaluator wished to have happen. In addition, the Court and the current Guardian are holding the family’s assets, as well as the portion of my father’s Social Security and Pension to which my mother is entitled, hostage, just as they had done with my father at the hospital. My parents and I do everything as a family unit—and there is no infighting, which might require the intervention of the Court. In order to further their own interests, the hospital/evaluator/opposing attorneys falsely accused me of not wanting to preserve my parents’ funds, when, in fact, they had a much more egregious motive–to take over my family’s home that would be worth quite a bit when renovated and to cash out on some stocks that were still not in a brokerage account. I am an only child, and when my father was asked about this issue, he clearly stated—and this was noted by the attorney appointed for my father—that if it were ever necessary for him to have a guardian, he requests that that person be me. Their next step was to institute a “temporary medical guardian” until the hearing date. All she did was give permission to the hospital to administer drugs in classes for which my father had known reactions and others that were inappropriate and unnecessary. She continued to do this until my father had some type of what they termed “seizure” that rendered him almost fast asleep for three weeks, with a few minutes each day spent awake. They conveniently postponed the hearing from the time my father was of sound mind, but they claimed he was not, until he sustained that event, from which he has not yet fully recovered, but showing very slight improvements on a regular basis. That hospital should not exist. I have since found that people in the area had known of its notorious reputation, calling it the “Death Clinic,” which essentially is correct. It is a miracle that my father survived that most horrendous ordeal, which does not end there. Since that time, and as a result of the hospital refusing to speak with us and spewing lies throughout, my father has had to undergo multiple procedures, like debridements and a flap enclosure surgery at the site of the “unstageable sacral ulcer” that they had mentioned was very minor, to having an NG Tube placed, followed by a G-Tube and a Colostomy, as well as a urinary catheter to undo the damage created by the hospital with devious intentions. My father also has had to deal with multiple infections, including sepsis, MRSA, C. diff. and possible pneumonia, and now, although it seems the health issues have been mitigated somewhat by the healing hands of doctors at another hospital on Long Island, our legal issues are still just at the “starting line.” Although I had hired an attorney, apparently she “sold me out,” and by never having followed procedure by filing for me to become my father’s guardian, permitted the other side to become victorious in a Court of Law that was a complete farce, beginning with my father never having been served papers, to a judge and lawyers who had no questions for me, essentially just to install a permanent guardian of both person and property indefinitely. Throughout the ordeal, all they tried to do was force my mother and me to sign a DNR, which we, as a family unit, will not do. However, now a complete and utter stranger can override my parents’ and my wishes? These people are a disgrace to the human race. After having been forced to deal with the legal ramifications of the placement of a “Permanent” Guardian of both person and property for my father, we are now fighting for the rights of my mother upon whom the Guardian has now set his sights, solely to gain access to our home—and the rest of our assets. After my mother and I filed an Emergency Order to Show Cause to have our funds released as per an Apportionment Order from over a year ago (the same form utilized to save criminals from execution, and granted by a different Justice of the Court), we are now faced with the judge presiding over our case. This is the SAME judge who handed my father over to his choice of Guardian—a real estate attorney! The judge “conveniently” decided not to act upon HIS own order from over a year ago to release funds—and is permitting the Guardian over my father to file for guardianship over my mother, as well—and concurrently with the supposed release of the funds owed to my mother for over a year, thereby sealing the deal of having everything taken away from us, belongings, home, rights, dignity—and the list goes on and on and on…. My mother and I have had to resort upon the kindness of friends to permit us to borrow money for all of our expenses. We have been evicted from our apartment—and have ABSOLUTELY no funds with which to live. Even though my mother has just undergone multiple major surgeries, the judge refuses to release the money owed to my mother—and is essentially accusing me, my parents’ only child, of taking money, when that is the very thing that those corrupt individuals are doing at present. I was told by the judge to apply for Social Services, while he and the Guardian he appointed are now trying to secure my mother’s life under their authority, so that they can extract what is left of our family’s funds—and the house in Brooklyn that my parents worked their whole lives to acquire…. No lawyer is willing to help us for various reasons, either because payment is required up front, or Article 81 guardianship cases are not addressed, or, even worse, I was told that I could not receive a recommendation from the Bar Association because they do not know who is “beholden” to the judge who is in charge of our case. Our family is like a “sitting duck, waiting to be plucked” and NO ONE IS DOING ANYTHING TO HELP US! We are on the verge of losing our leased car, our phone, our belongings, our house and our family unit, etc.…. I am a perfectly suited adult, capable of taking care of both of my parents, without the interference of outsiders who do not know the first thing about my family. After contacting the National Association to Stop Guardianship Abuse (NASGA), I have been informed that this is a common occurrence throughout the United States, albeit one that is only known to those who find themselves entrenched in this web of elder abuse. I was told to make our story known as legislators must be made aware of this miscarriage of justice, and leave the rights of the family intact, without the interference of strangers who are only interested in benefiting themselves financially. Our Go Fund Me page has been started to raise funds so that I might regain my full rights of caring for my father­—and not losing my mother to the very same predators who are trying to find an easy way to steal money from the most vulnerable in our society…. They do this by claiming (falsely, of course) that the caregiver child (me) is incapable so that they can come in and destroy the family unit for the so-called “benefit” of the individual they are working to destroy after the person’s funds dwindle away…. Help Justice Prevail for Veteran.